If you’re in SaaS, you can’t help but hear about HubSpot’s massive growth. 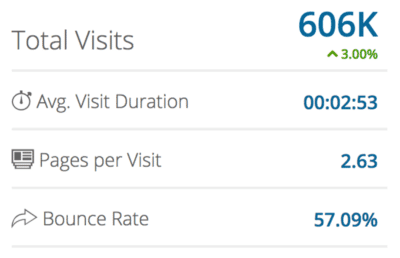 They have a traffic rank of #5 in the world… in the online marketing tech space. This doesn’t include websites they’ve built to build their community and fill the top of their sales funnel. They are a major player in the SMB SaaS market. It is my hope in this article to show you what’s truly working online in SaaS by giving you a glimpse into the strategies and tactics of one of the SaaS industries biggest players. What you see below is not conjecture or theory. This is the real facts behind a major SaaS company, the marketing strategies they use, and the tactics used. HubSpot was founded in 2006 by Brian Halligan and Dharmesh Shah. In 8 years they grew from zero to $100M+ revenue, with an IPO in 2014. Perhaps best known for their inbound marketing prowess, HubSpot’s rocketship growth trajectory makes them the second fastest SMB SaaS company to ever IPO. Both Brian and Dharmesh had successful backgrounds in tech before launching HubSpot. Brian was VP of Sales at Groove Networks, which was acquired by Microsoft, and Dharmesh was founder and CEO of Pyramid Digital Solutions, which was acquired by SunGuard Data Systems. In 2009, Brian and Dharmesh co-authored a book called “Inbound Marketing: Get Found Using Google, Social Media and Blogs”. Lastly, Brian and Dharmesh were named in the Inc. Founders 40 in 2016. While they have about a dozen sites over the years, it appears that there are 4 critical websites key to HubSpot’s online marketing strategy. 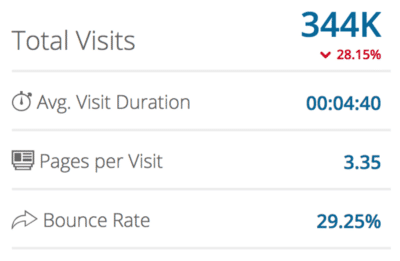 The bulk of their traffic is from inbound marketing, primarily through organic search. However, they are are also spending money on paid search ads. Their blog post CTAs and ads are driven to landing pages with a very basic level visual design, short form copy and a full lead form. On their landing pages they offer hundreds of different lead gen incentives (to match their blog article content and the searcher’s intent) in exchange for a full lead. Beyond the lead they sell inbound marketing software for a subscription fee based on their customers number of CRM contacts. This is their public facing main site. It gets an enormous amount of organic (earned) traffic from the search engines. 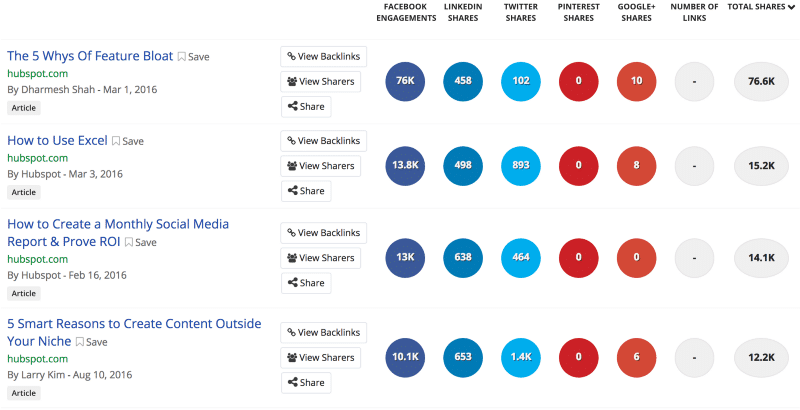 HubSpot put A LOT of focus on content marketing and SEO. The reason I say that is when I look at the keywords they are ranking for and which ones are sending them the most traffic, they have thousands of generic key phrases like “Website Leads” and “Grow Email List” ranking on the first page of Google. From analyzing HubSpot’s 69,087 organic keywords I could count 5,905 that rank on the first page of of Google and 10,440 that rank on the first page of Bing/Yahoo!. They are also spending a moderate amount of money each month on paid search ads. When I investigated their paid search ad strategy it was primarily advertising their Free CRM, which has a core feature set of the main product, and leads SMBs to upgrading to their paid version once they experience HubSpot’s value and want to use the full feature set. 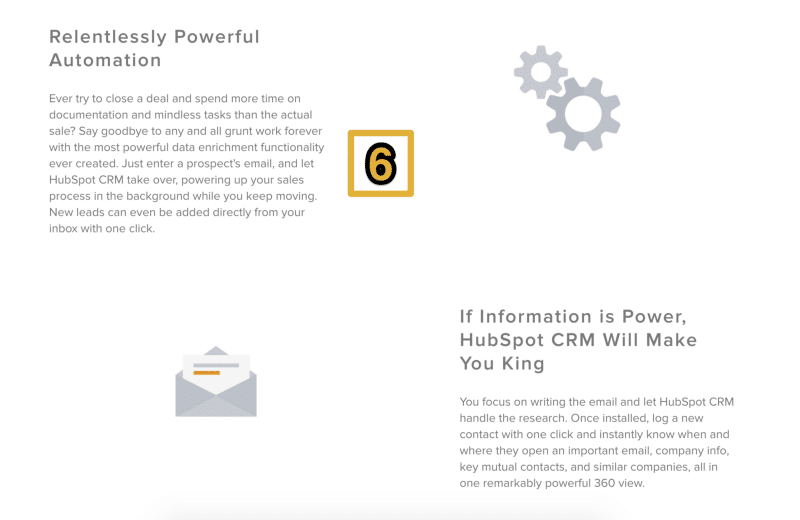 There is a lot of valuable content accessible from the HubSpot website which I believe is contributing to their low bounce rate and high time on site. 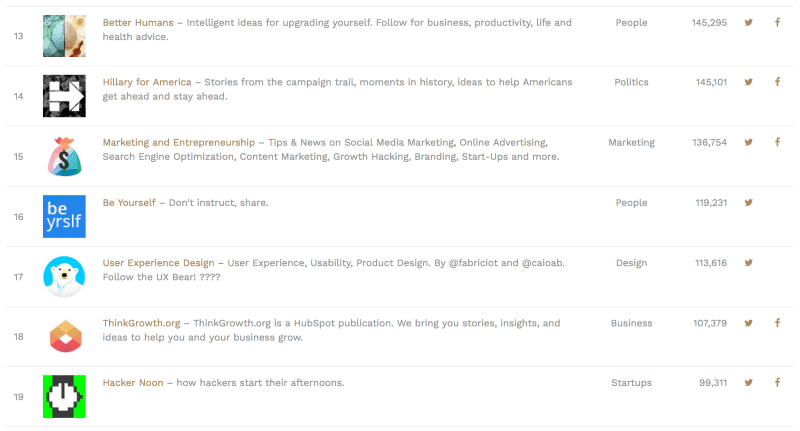 Inbound.org is an online hub for marketers to connect, learn and find jobs. 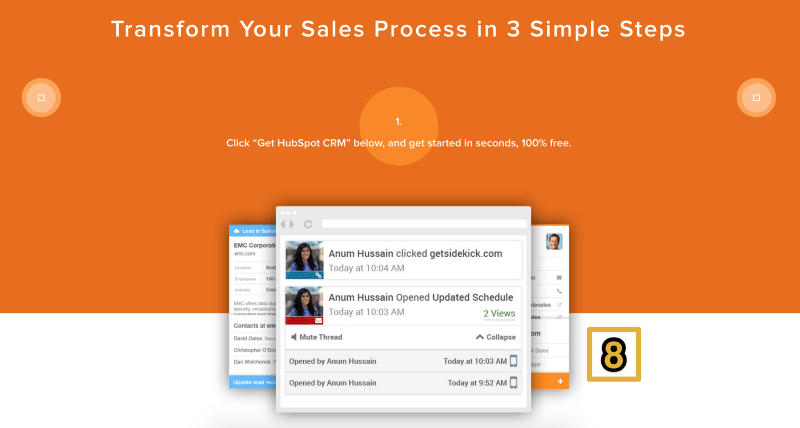 It is funded by HubSpot Labs, an R&D department within HubSpot. This site is primarily driven by high direct traffic from their main site, the 200,000+ community members who go straight to the site to login, organic search and 90%+ of social traffic from Facebook. 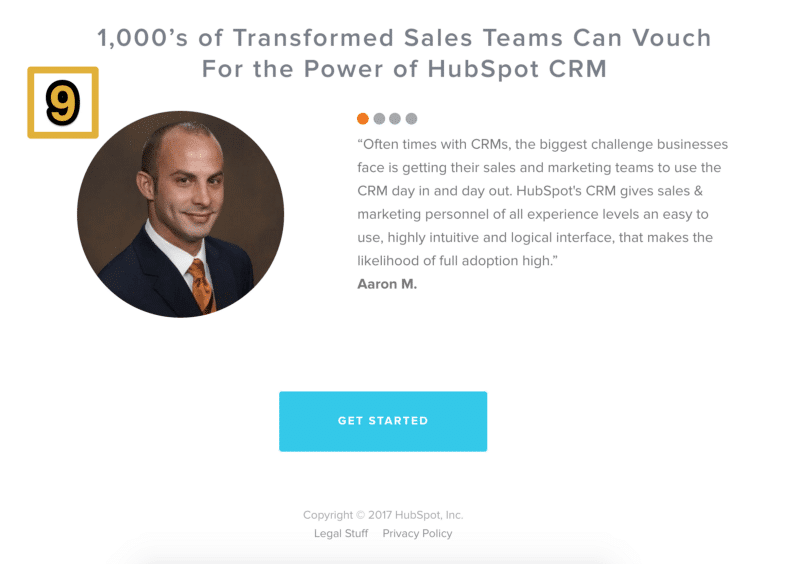 One of HubSpot’s largest revenue generators is channel sales. Just like Xero leverage accounting partners to grow their business, Hubspot’s marketing agency partners account for 40% of their revenue (as of their last earnings call). Inbound.org is the perfect community for HubSpot to stay engaged with current marketing agency partners, educate them on the latest marketing trends, help them find new employees, get real-time feedback on their products and attract new potential partners into their ecosystem. They have 3,400+ partners servicing thousands of HubSpot customers, helping them get better results, month in and month out. HubSpot’s partner program for marketing agencies recently scaled up past $100M in annual revenue. 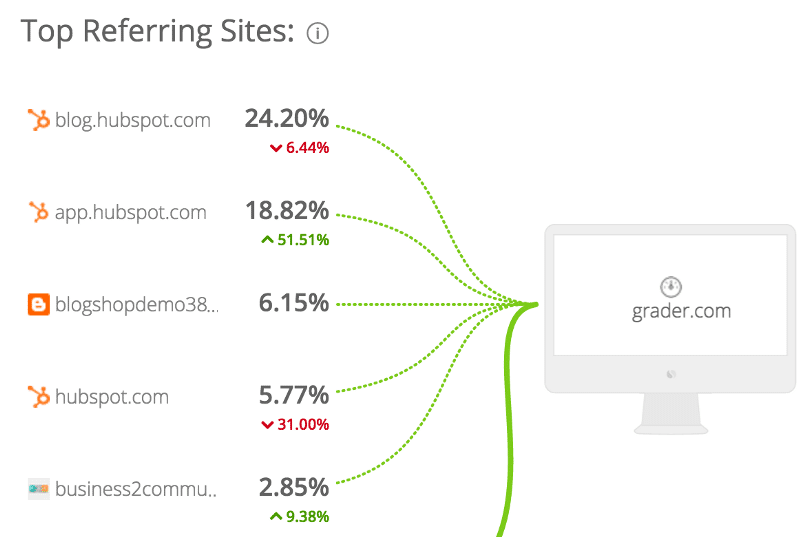 HubSpot’s free Website Grader tool was the first ever project to come out of HubSpot Labs in 2007. 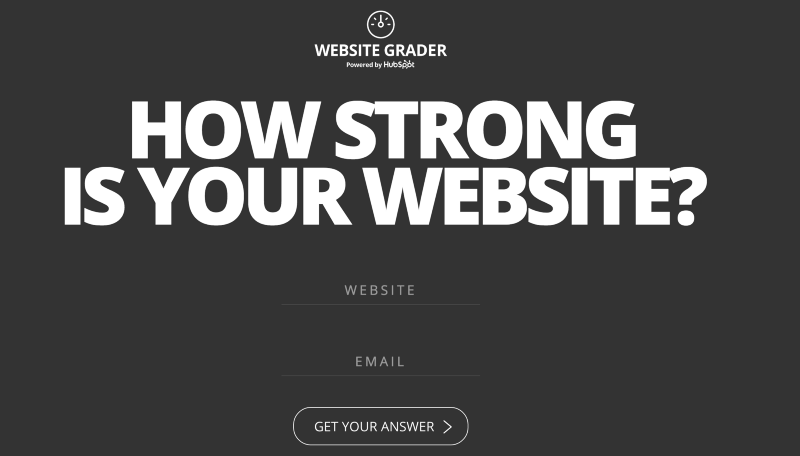 A person enters their website URL and email address to see how strong their website is out of 100. Aside from being a super helpful tool for small business owners, it is also a great example of how to build a free tool to drive millions of market specific TOFU (top-of-funnel) leads to your SaaS company. A simple little tool that helped millions of people improve their websites — and in the process, helped HubSpot become a publicly-traded company [NYSE:HUBS] with over 15,000 customers and a market value of over $1.6 billion. 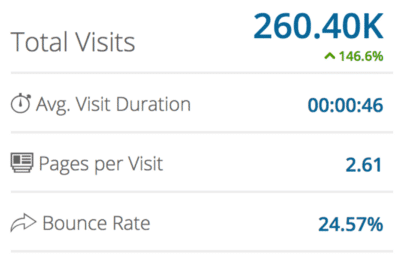 The majority of website traffic for the tool comes from the HubSpot blog, suggesting that blog content combined with a strong market specific lead magnet can be a great combination to acquire TOFU leads at scale. 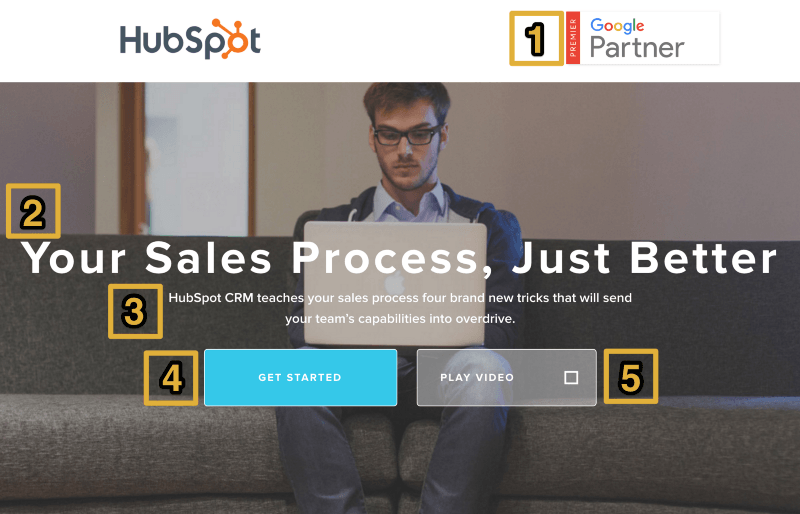 Since their success with Website Grader, HubSpot have got ultra-granular with their TOFU lead generation. They now create blog posts with blog post specific lead magnets on their main website to fill the top of their sales funnel with thousands of leads every month. 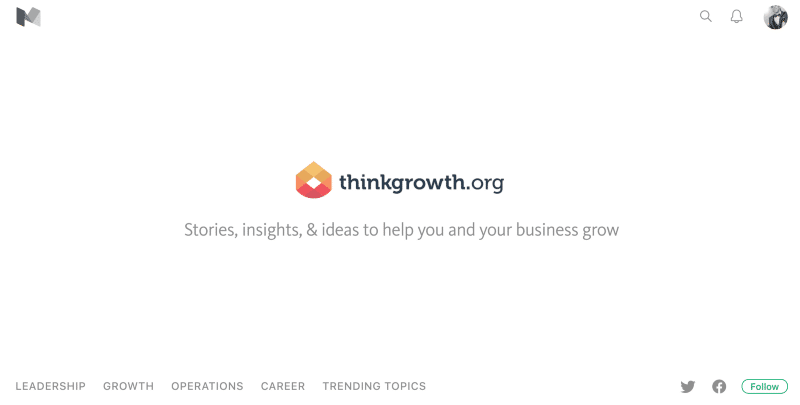 ThinkGrowth.org is a HubSpot Medium Publication that was launched on April 17, 2015. It was first branded as ReadThink.com, then re-branded to ThinkGrowth.org on Dec 14, 2016. ThinkGrowth.org reflects a commitment to thinking deeper — asking questions, poking holes in the easy answer, and exploring past the first page of Google’s search results. It’s also a commitment to finding the right questions, the kind that will move your career and business forward. 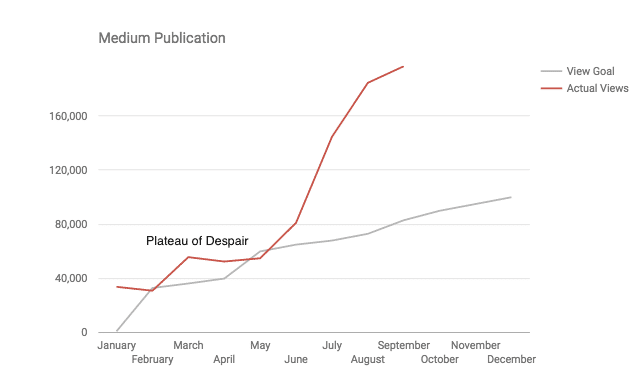 HubSpot’s launch on Medium was based on this premise: more and more people are consuming articles directly from platforms like Medium, Facebook, and podcasts so they want to be where their readers are. Early posts were mostly cross-published content from the HubSpot blog, but HubSpot quickly realised that their “optimized for search” blog content wasn’t generating many views on Medium. They had the best success by finding writers on the rise on Medium like Seth Godin, Nir Eyal, Larry Kim, steve blank and Danielle Morrill and syndicating content they had created — exposing both them and HubSpot to a new audience. By “optimizing for people” with opinion pieces, personal accounts and reaction posts from top writers and influencers, HubSpot found content that would often have a stronger performance than their home blog. Since their success on Medium, HubSpot have decided to invest in a brand new team focused entirely on “offsite” content strategy which is being headed up by Meghan Keaney Anderson, Sam Mallikarjunan and Janessa Lantz. 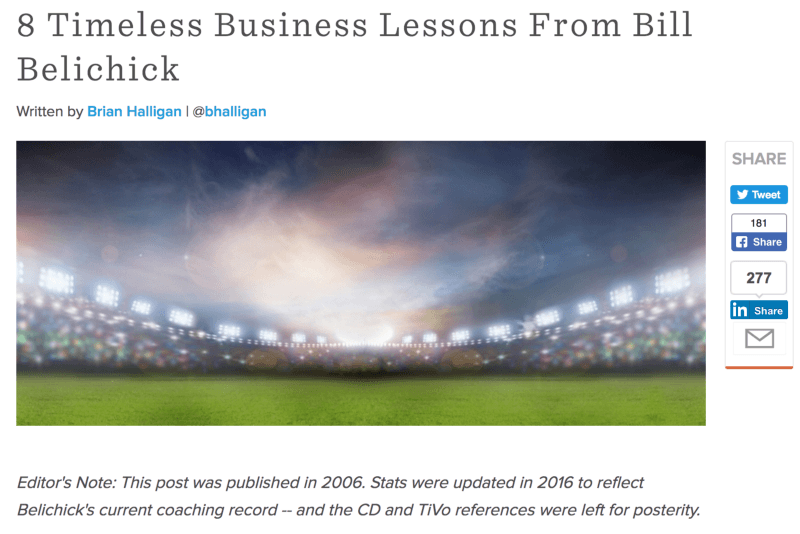 Notice that some of their blog posts aren’t the type you’d typically see on a website that sells inbound marketing software. 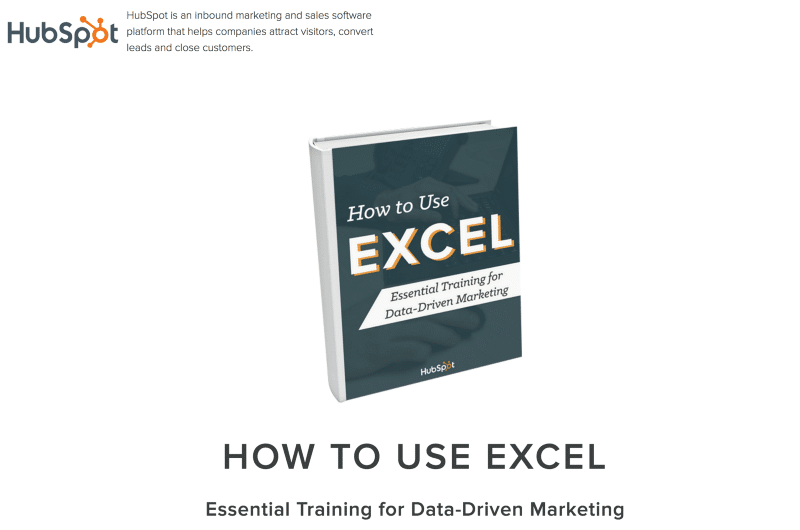 You may be thinking… why in the heck are HubSpot teaching people how to use excel? Trust me… this isn’t a mistake. The smart team over at HubSpot did their research and found that their are 27,000+ people every month searching for “how to use excel”. When you search for “how to use excel” on Google, the first organic search result to pop up is a HubSpot blog post titled “How to Use Excel: 14 Simple Excel Shortcuts, Tips & Tricks”. And guess how they are using that blog post to generate leads? If you take a look through HubSpot’s blog, you will see that these 3 blog post CTA’s are consistent across most of HubSpot’s blog posts. Sometimes they all go to the same lead magnet (like in the example above). Other times, all 3 CTA’s will go to 3 different landing pages with 3 different lead assets relevant to that blog post. HubSpot has thousands of these “owned media” lead assets, with their own dedicated landing pages. 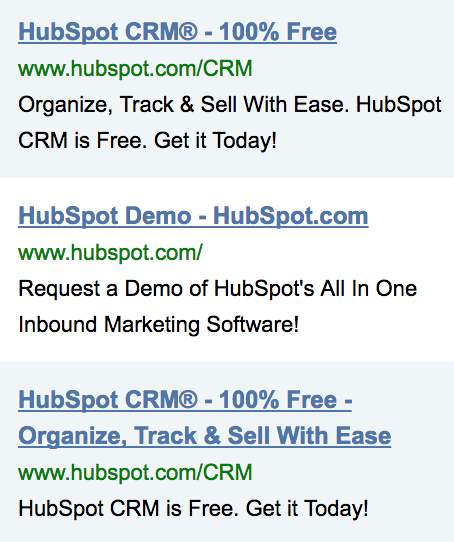 As you can see… HubSpot are an inbound content AND lead generating machine! Note at the top of post to let people know what has been updated. 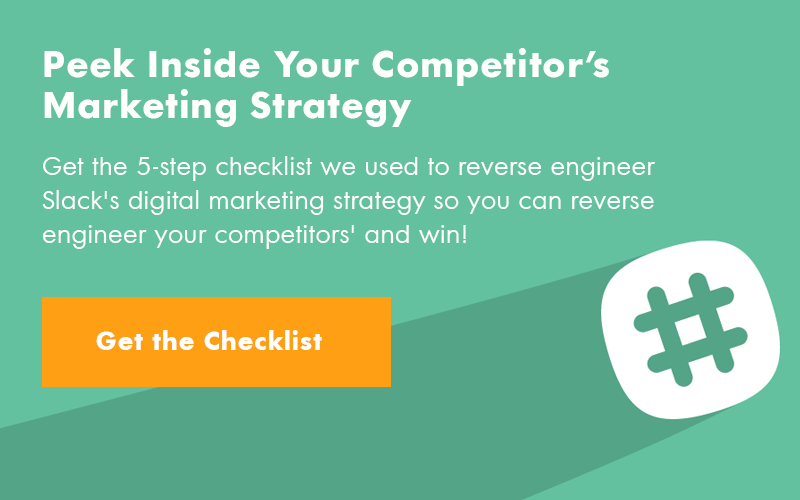 This is a great strategy to generate more leads from old, evergreen content pieces. They have 587 PPC keywords that they are bidding on, but almost all of their ads were a version of the above. There were a couple of other ads like one with the headline “Free Lead Generation Tool – Start Capturing Leads Today” which were spot targeted ads for a free version of their HubSpot Marketing product. This is a very mature account and the most recent data in the tool doesn’t represent where they started. They have now pruned all but the most profitable keywords and segments over the years and found the best offers that convert for the highest buy-intent keywords in their market. Either that or they are grossly under-utilizing one of the best ad platforms on the Internet (not likely). This is the above-the-fold section of their Free CRM landing page. 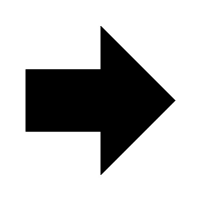 It’s important to note that if anyone comes to this page, they can make a quick decision from the info provided in this first section. Their “Get Started” CTA button leads the visitor to a half lead (email, company name, website URL) form after clicking through. If you are in the same market as HubSpot, you certainly have your work cut out for you. However, I hope this brief has helped you to see what areas they are strong in and where they might be weak. 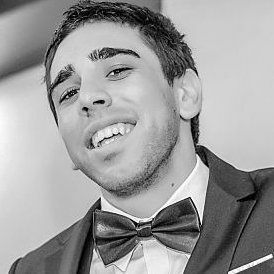 If you are not in the market you should be thinking about how you can apply what they are doing to YOUR SaaS, in YOUR market. You should not be thinking my SaaS is different so none of this applies. Trust me after having worked with numerous SaaS companies — no SaaS is that different. These strategies work in all SaaS markets. What strategies and tactics are not showing up here that some experts say you MUST be doing. I find it much more effective to learn from what’s actually in play and working with the biggest players, than trying to guess. Double-down on what works. Ignore everything else. It is just a distraction. Want More Growth Studies Like This? If you would like to be updated when we release new growth studies like this, you should sign up to get VIP access here. If you are serious about becoming great at growth marketing, you should download our amazingly useful growth hacks spreadsheet. If you’d like us to help you implement HubSpot’s traffic and conversion strategy in your business, you can apply here.